For almost half of the century of its existence, the American Catholic Historical Association was remarkably well served by its Secretary and Treasurer, Msgr. Robert F. Trisco. He assumed the position of assistant secretary in 1960. With the resignation of Msgr. John Tracy Ellis, Msgr. Trisco became the executive secretary in 1961, a position he held until 2006. He stepped in again during 2007 to 2009 while the Association searched for a new secretary. When the Association’s treasurer Msgr. Harry Koenig retired in 1983, Msgr. Trisco took over that responsibility too, serving in the position until 2006 and again during 2007 to 2009. As secretary, he carried out many tasks. He managed the membership rolls, sending out invoices, organizing campaigns to recruit new members, and chasing after those who let their membership lapse. When he retired finally in 2009 he reported the membership at 915. He arranged the annual meetings by recommending persons to serve on the program committee and instructing them on how to proceed. He also dealt with the American Historical Association to be sure our meetings were in one of the headquarter hotels and our programs were included in the listings of the AHA. In addition, he negotiated with hotels for rooms for the sessions and had the program for the annual meeting printed up and mailed out. He helped the Association’s presidents set up committees and create lists of candidates to run for office. Under his direction, the ballots were sent out to members and the votes tallied. At the meetings of the Executive Council and the public Business Meeting, he gave reports that were extensive and detailed and always included a prayerful remembrance of the members who had died during the previous year. His presentation at the Business Meeting was so thorough that few members had questions and everyone was happy to head for the social hours that immediately followed it. When the annual meeting was over, he collected all the reports of the officers and committees and had them printed in the Catholic Historical Review. Over the decades he also regularly represented the Association at the quinquennial meetings of the International Congress of Historical Sciences, where he joined the International Commission for Comparative Ecclesiastical History, becoming the liaison for the United States, president of the American sub-commission, and member (assessor) of the Commission’s Bureau (1980-2010). From 1982 to 2009 he was a member of the Pontifical Committee of Historical Sciences. Msgr. Trisco was the anchor of stability that in his quiet, efficient, meticulous, and behind-the-scenes ways saw that that things ran smoothly, deadlines were met, and the Association was represented at national and international meetings of historians. On becoming Treasurer, he set up a committee of financial advisors and followed their counsel on how to invest the Association’s funds. These funds grew over the years, not only because of their sage advice, but because Msgr. Trisco and his faithful assistant for many years, the retired Master Sargent Anne Wolf, worked for free and paid their own expenses when attending the meetings of the Association, meetings he attended faithfully, no matter the winter weather. He maintained a seamless web between the Association and its journal, The Catholic Historical Review. Msgr. Trisco was appointed in 1960 as an associate editor with responsibility for the book review and periodical literature sections. 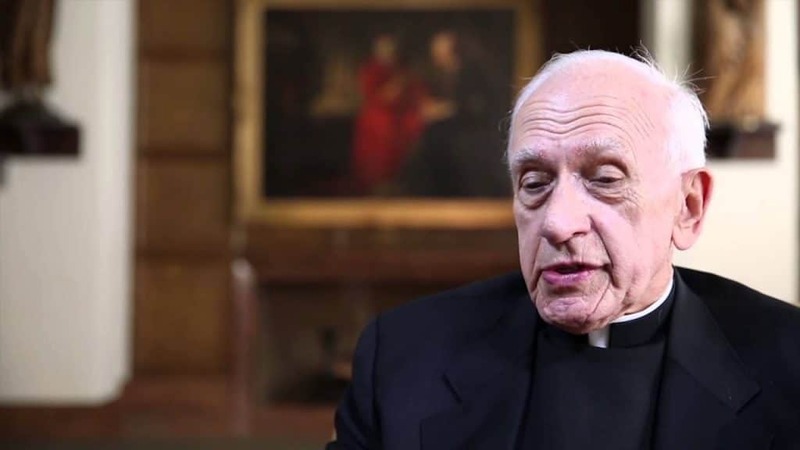 When he returned from the Second Vatican Council in the spring of 1963, he was appointed the managing editor. He continued the policies Msgr. Ellis had set at the journal. The one innovation he made was in the design of the journal’s cover, replacing the mono-green cover with one that was white with a different illustration for each issue. He printed in the journal all the Association’s reports and announcements, personal items regarding its members, and obituary notices. Many authors thanked him for helping them to improve the quality of their article. He returned book reviews to their authors, insisting that they not merely summarize the book but evaluate its contribution to the field, provide pages numbers for their quotations, the first names of anyone mentioned, and stay within the word limit. He was praised for consistently producing volume after volume without any typographical errors, due to his eagle-eye proofreading. Under his editorship, the CHR became a journal highly respected by all scholars. In the history of the Association, three persons stand out: Msgr. Peter Guilday who was its founding father; Msgr. John Tracy Ellis who worked to raise its scholarly reputation; and Msgr. Robert Trisco who secured for the Association a renown as the leading society in the English-language world for the study of the history of Catholicism. For his remarkably dedicated services, the American Catholic Historical Association bestows on Msgr. Robert F. Trisco its Centennial Award as a token of its deep affection and gratitude.